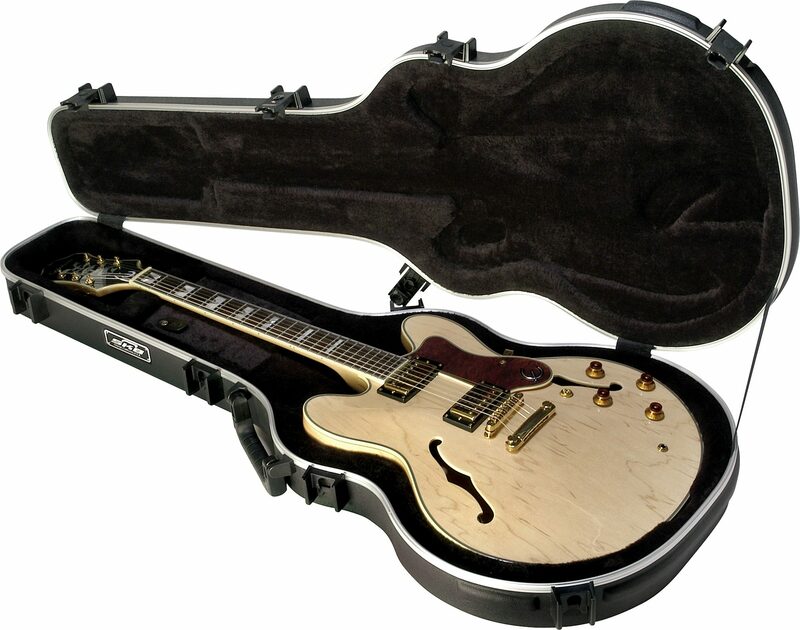 The SKB-35 has a restyled interior to accommodate a wider variety of 335 Style semi-hollow body guitars, including guitars that are fitted with a Bigsby(R) tailpiece. The latches are made of indestructible fiberglass reinforced nylon and include a TSA recognized and accepted lock. The over-molded handle is comfortable and perfectly balanced. The SKB-35 case features molded in bumpers for protection, a "tongue & groove" valance to keep dust and moisture out. 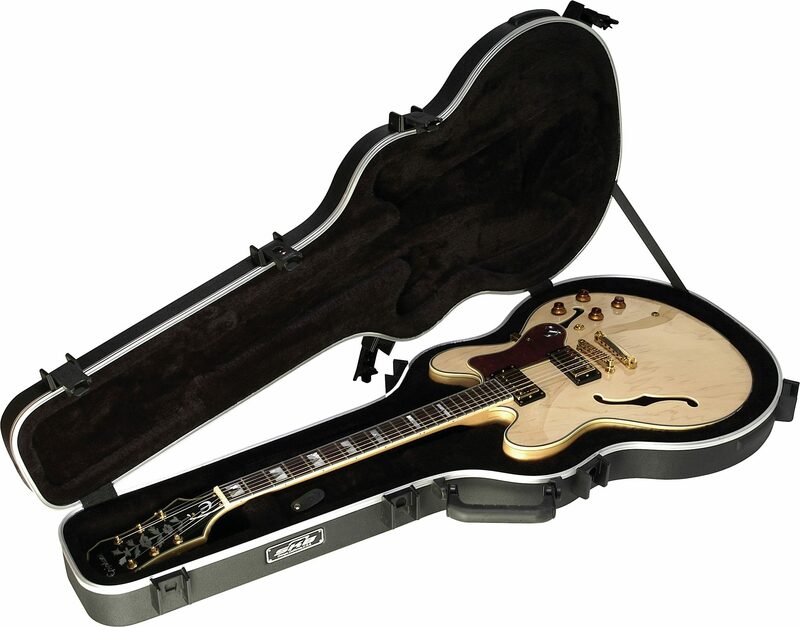 "SKB ES 335 Guitar Case"
Overall: I have several SKB cases. In fact all my 9 guitars have SKB cases mainly because they are so durable, I only get the molded hard shell cases, they can take a better beating then any wood case covered in tolex. They rip and tear and end up looking nasty after a while so I don't even mess with those cases. Haven't since they 1st came out many years ago. I put my Gibson and Fender original cases in storage so when I go to sell a guitar I have the original case for it and in pristine condition. I play out about 3-4 times a month so my cases need to be rugged. Just bought this one for an ES 335 I bought. Sweet guitar so it needs a good case that can get banged around on the road and keep the guitar well protected. Only cases I will buy, period! They are also lighter than wooded cases. Try one next time you need a case and you will see what I am talking about. Style of Music: We play Classic Rock, Blues and Country Rock. The guys I play with now are in their '30's. We have been playing for about 7 yrs.